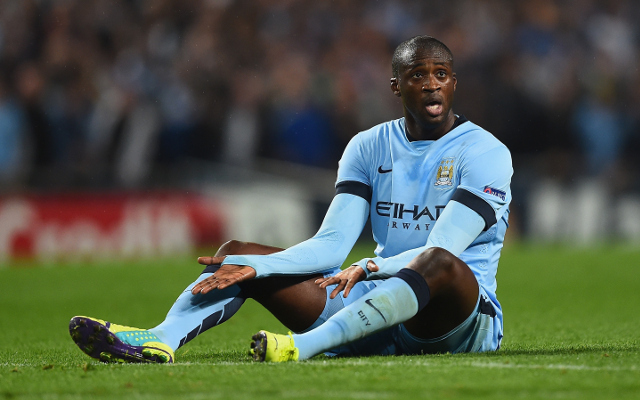 Italian giants Inter Milan are set to offer Manchester City £10m for star midfielder Yaya Toure, according to reports. Toure is believed to be headed to toward the exit door this summer and former City manager Roberto Mancini is understood to be desperate to bring the 32-year-old to the San Siro, Daily Star reports. Inter’s Serie A rivals AS Roma are also reported to be interested in the Ivorian while cashed up United Arab Emirates club Al-Ahli are also chasing Toure’s signature. Toure has two years remaining on his deal at the Etihad, but Inter bosses are believed to be willing to match his mammoth £220k-a-week contract if he is to join the 2009/10 Champions League winners. According to the report, Inter have been slapped with a £15m fine for breaking Financial Fair Play rules but it’s not believed the penalty would affect the proposed transfer. Inter have had yet another disappointing season and currently sit eighth on the Serie A table.